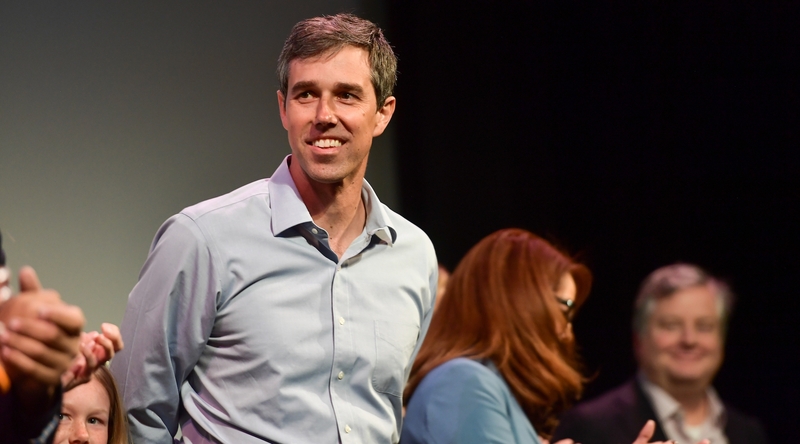 WASHINGTON (JTA) — Beto O’Rourke, among the more popular Democrats running for the presidency, said neither side in the Israeli-Palestinian conflict has leaders who are ready to negotiate. “Right now we don’t have the best negotiating partners on either side,” O’Rourke said at a campaign event posted on Twitter on Wednesday by The Hill, a congressional daily. It was not clear when or where O’Rourke made the comments. “We have a prime minister in Israel who has openly sided with racists who in a previous election warned that Arabs were coming to the polls and on the Palestinian side you have an ineffectual leader, Mahmoud Abbas, who has not been very effective in bringing his side to the table either,” the former El Paso congressman said. O’Rourke, who announced his candidacy last week, earned more in donations in the 24 hours after his announcement — over $6 million — than any of the 15 or so candidates running this season. Another candidate making strides, Pete Buttigieg, the mayor of South Bend, Indiana, said that his views on the Middle East had become more nuanced after a trip to Israel with an American Jewish group. “When you actually go to the Middle East, you come away with more questions than answers,” Buttigieg told Esquire when he was asked on which the issue he had moved the most. “I just saw more of the complexity there,” said Buttigieg, who visited Israel last year with Project Interchange, the American Jewish Committee group that identifies promising young politicians and brings them to Israel. Buttigieg, in part because of his polished appearance at a CNN town hall, is now seen as a dark horse among the candidates. Activists have been pressuring arts institutions especially to reject Sackler money and strip the family name from their buildings.